Emily Barbour is Balentine’s Director of Client Service. In this role, she manages the firm’s Client Service team, which provides support to clients and relationship managers. She oversees the cultivation of client relationships through superior service standards in order to envelop each client into the Balentine family. 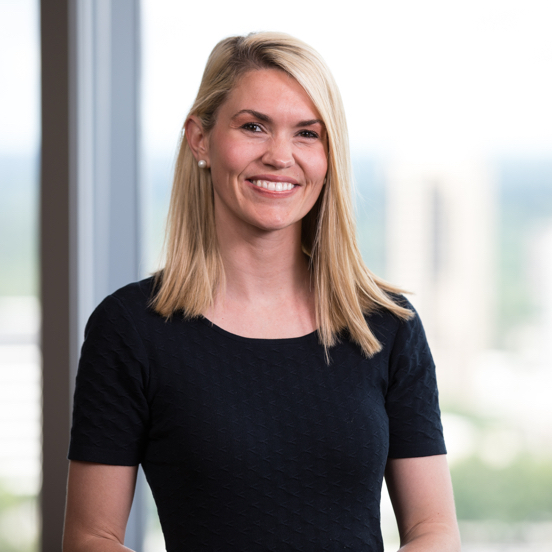 Emily joined the Balentine team in February 2010, just two months after the firm’s founding. She began her career at Coxe Curry and Associates, a consulting firm for greater Atlanta non-profit organizations. Though I didn’t have a financial background, I wanted a career change and the timing was perfect. I remember nervously asking my dad about possibly working for him. We both thought long and hard about how it would affect our relationship (the good and the bad), and he had careful discussions with his partners. After four rigorous interviews, I made the cut. It was one of the best decisions I have ever made. I hope my dad feels the same way. My dad—both as a father and a business leader. In order for us to do our job of helping clients meet their financial goals, they need to learn to “tune out the noise.” As humans, it is hard not to get caught up in the daily chatter. That is what our clients are paying us for—to stick to the plan that will get them to their goal. We often can be our own worst enemies when it comes to investing. What are you most passionate about in this business? The relationship between children and wealth. I would love to become even more involved with families to educate both the parents and children on what it means to be a good steward, instill a sense of motivation despite having the means not to have to work, etc.